Exchange experiences can be a life changing for students. We believe that experiences like these are a crucial part of developing a global perspective by fostering interactions between students of different cultures. WLSA offers members of associate schools the opportunity to participate in an exchange by hosting Chinese students or through taking students to China. 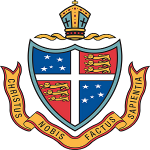 Since 2012, the WLSA East to West Exchange brings students from WLSA Associate schools in China to WLSA Associate schools in countries such as Australia, Canada, India, South Africa, the United Kingdom and the United States. 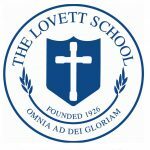 The Lovett School (Georgia, USA) has been part of the west to east exchange for four years. In 2016 we welcomed eight students and two adults from WLSA Fudan. The students took full advantage of every opportunity we offered, from college visits, to a tour of Atlanta, to participating in classes from kindergarten through high school. The exchange was a great opportunity for our host students and families to build new friendships and develop cross-cultural understanding. Being a host was an enriching and rewarding experience. We were delighted with the support WLSA offered us leading up to, during and after the exchange. The visiting students and their host were wonderful and we were delighted to be able to share experiences and learn from each other in this way. The WLSA exchange was wonderful. Our students had a great time hosting the Chinese delegation at Harvard-Westlake. All the kids enjoyed their time together. WLSA made the entire experience run smoothly. Hosting our Chinese guests this winter has been a great pleasure. The WLSA exchange program has been a great opportunity for our Westminster hosts to serve as ambassadors of American culture. Our faculty, students, and host families truly enjoyed meeting our new friends from the Beijing 101 High School. We have gained a better understanding of Chinese people and culture through this exchange program. By hosting their peers from Beijing, our students have extended their perspective of the global community. I was especially amazed by the wonderful interactions between these young people from both schools. Though the two-week program has ended, students from both schools are continuing to exchange thoughts and messages through email and WeChat. This development of friendships is the best part of the exchange experience. Many thanks to the WLSA colleagues for offering this incredible exchange program!